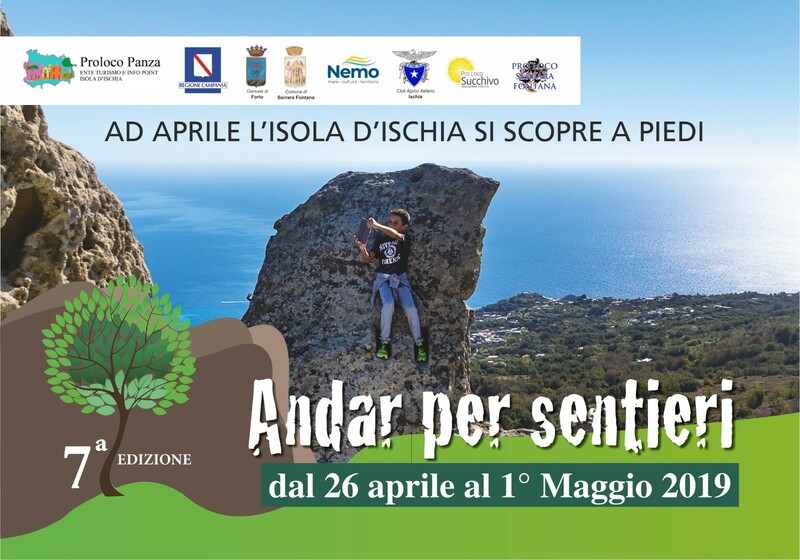 From April 26 to may 2019 ‘Andar per Sentieri’. Nature and tradition, the environment, and enogastornomia important elements of Ischia. ‘Walking along the Paths’ is an event that offers Trekking routes through the most interesting paths of the island with guides that are highly qualified and paths of absolute beauty. 30 minutes of Spa Experience with exclusive use of the covered jacuzzi with hydromassage; Turkish bath with aromatherapy eucalyptus, wild rosemary, or mint, depending on the season, chromatic and emotional shower, relax area. Departure time postponed to 12:00 p.m. (on request and depending on availability).The above rates are per person with bed & breakfast treatment, Iva and all the taxes in force today. City tax not included and to be paid directly at the hotel: € 2,00 per day per person. And’ required a deposit of 30% on your hotel stay. In case of cancellation, modification or no show will be charged the deposit as a penalty. The rate includes accommodation, breakfast and as specified in the offer. The city tax is not included. In case of early departure, will be billed for the entire amount of the stay. Notes for this special rate we have available a limited number of rooms. Offers not valid in Bridges and Holidays.